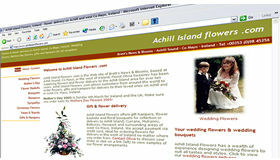 Based on Achill Island, Co Mayo, in the west of Ireland, Digital Acla builds effective, affordable Web sites for small- and medium-sized businesses in Ireland and the UK. Digital Acla was formed in 2001 when founder John McNamara moved from London to the west of Ireland. Prior to this move he had gained over ten years' experience working in the communications industry in the UK. His CV includes several years working as a desk editor for the Financial Times Information group, including early experience of the Web in the mid-1990s as content needed to be added to the nascent FT.com Web site. John also worked as a freelance copywriter for a range of corporate communications agencies, contributing to projects for clients including Mercedes-Benz, H. Bosch (Blaupunkt), BT, SBC Warburg, Compaq Computers and Mercury Communications. In 1998 he became a Web site producer on BTconnecttobusiness, a BT 'portal' site aimed at small- and medium-sized businesses in the UK. Eighteen months later he joined a dedicated web design agency, Red Hot Chilli, as a copywriter and content editor. During 15 months with this fast-growing agency he worked on several blue chip accounts as well as for many dotcom start-up clients. Use the links on the left to client sites to view recent work by Digital Acla, or see our portfolio section for case studies of selected sites. For further information about Digital Acla, please use our contact form.